Paul George’s love for gaming is no secret. His second signature shoe with the Swoosh was introduced by an incredible Playstation colorway done up with glowing, light-up embellishments, and now the hybridized PG 2.5 is set to don a similar aesthetic, harkening back to Sony’s first ever Playstation system. Dressed in the same flat grey color as the retro gaming device, its standout details come by way of the PS1’s button colors, blue, green, red, and yellow taking shape on George’s branding, the model’s Nike checks, and an old school Playstation emblem on the left tongue. 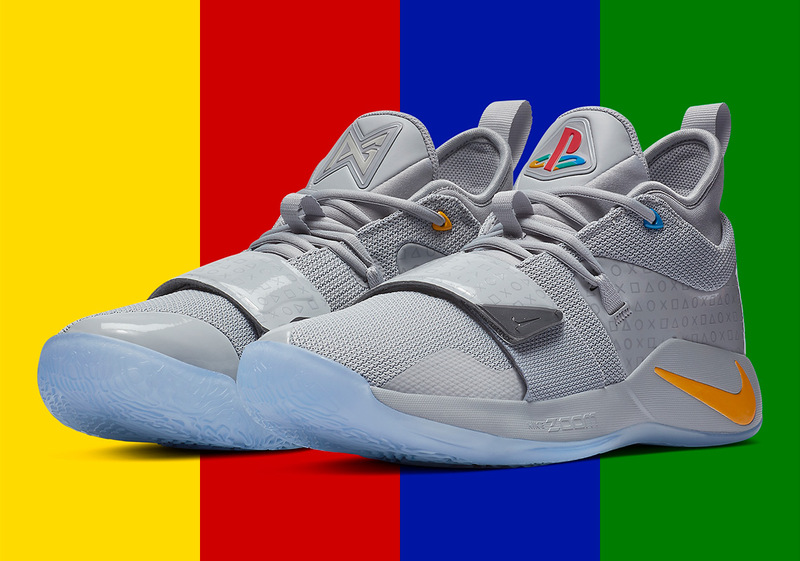 Familiar square, circle, triangle, and x graphics take shape all throughout this iteration via all-over patterns, while “Paul George” comes inscribed on both heels in Sony’s signature font. Grab an official look at the Nike PG 2.5 “Playstation” below and look forward to its global release on December 1st.